If you’re looking for a nice, budget monitor with vibrant colors and a beautiful border-less design, look no further and meet the LG 23MP68VQ. Although a budget monitor, it delivers accurate and consistent colors thanks to the IPS panel that covers over 99% of the sRGB color space. Additionally, it offers an amazing gaming experience due to the FreeSync capability, quick response time, and exclusive gaming features. There’s no doubt that this monitor is well worth its cost, if not more. The moment you connect and turn on the LG 23MP68VQ screen, you’ll be able to enjoy the high-quality picture with vivid colors. The monitor is factory calibrated so you won’t have to tweak the settings yourself, although, you have the ability to do so with the six-axis color settings in the OSD menu. As the monitor covers over 99% of the sRGB color space, it is ideal for the aspiring beginner-level to semi-professional designers and photographers who need a monitor for color-critical work. Besides providing you with the precise colors, the IPS panel also ensures excellent viewing angles of 178 degrees both horizontal and vertical, allowing you to enjoy the pristine picture quality no matter the angle you’re looking at the screen. Moreover, it offers a quick 5ms response time which isn’t as quick as TN panels can produce but will still eliminate ghosting of fast moving objects in everyday use and most of the fast-paced video games. 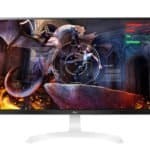 The most interesting feature of the LG 23MP68VQ monitor, however, is the AMD FreeSync which is usually not available in budget-level monitors. This feature allows you to connect your compatible AMD graphics card, series R7 260 and up, to your monitor through the HDMI port. Once you do that and enable the FreeSync option in the OSD settings, your GPU and monitor will have synchronized refreshed rates which will eliminate screen tearing, stuttering, and reduce input lag. The dynamic range of the FreeSync on this monitor is 40 – 75Hz / FPS (Frames per Second). In order to further improve the gaming experience, the LG 23MP68VQ PC display features the Black Stabilizer mode. This feature increases the visibility in very dark games by brightening and sharpening up the gloomy objects in too dark areas. By default, it is set to 50 and to 70 in the Game Mode preset, however, it can be increased up to 100 if you play really dark video games such as the Diablo III. Besides the Game preset, the LG 23MP68VQ PC monitor also provides two Reader modes, Photo, Cinema, Color Weakness, and the Custom mode. The reader modes offer two different variations of picture settings with reduced flicker level and low blue light that are ideal for nighttime reading. The Color Weakness mode is specifically designed for those who cannot distinguish certain color ranges. The OSD menu is very user-friendly and easily navigated with the OSD joystick that is placed underneath the screen. By pressing it once, you gain a little shortcut menu which allows you to swap between pre-calibrated presets, enter the OSD menu, change input source, and turn off the monitor. In the OSD menu, you can adjust brightness, contrast, and select different modes of the smart saving. Under the Picture settings, you can adjust the sharpness, three different response time speeds, FreeSync, and black stabilizer features. Furthermore, you can select three different gamma levels, three different color temperature settings, and adjust the RGB color levels as well as hue and saturation of magenta, cyan, and yellow colors. Lastly, you can choose to auto configure and reset the settings. All of these settings can also be adjusted in the On-Screen applications that you get on the CD with the monitor. In this application, you can adjust your preferred settings by simply using your mouse cursor. Furthermore, you can assign certain picture modes to certain applications, so that whenever you enter a certain video game, the Game picture mode will automatically apply. In addition, the LG 23MP68VQ offers the Screen Split feature which allows you to split your screen into 10 different layouts of split screen, including the Picture in Picture mode. 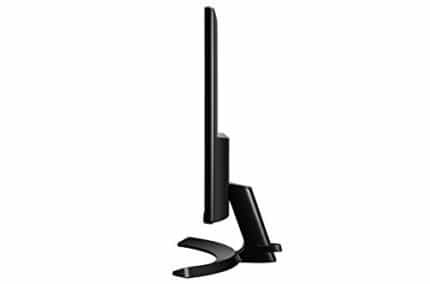 As you can see in the picture, the LG 23MP68VQ monitor boasts a rather slim design with a modern but elegant look. The bezel is ultra-thin as well, although the display isn’t edge-to-edge but has a 5mm black border around the screen which still looks amazing nonetheless. The screen is covered with a 3H anti-glare coating which eliminates the sunlight reflection. However, the cabinet of the monitor is glossy black. The base of the monitor is detachable which is ideal for a wall mount as it’s also VESA mount compatible. The only feature that the LG 23MP68VQ really lacks is the ability for height adjustment as when it comes to the ergonomics, it can only be tilted for 17 degrees. 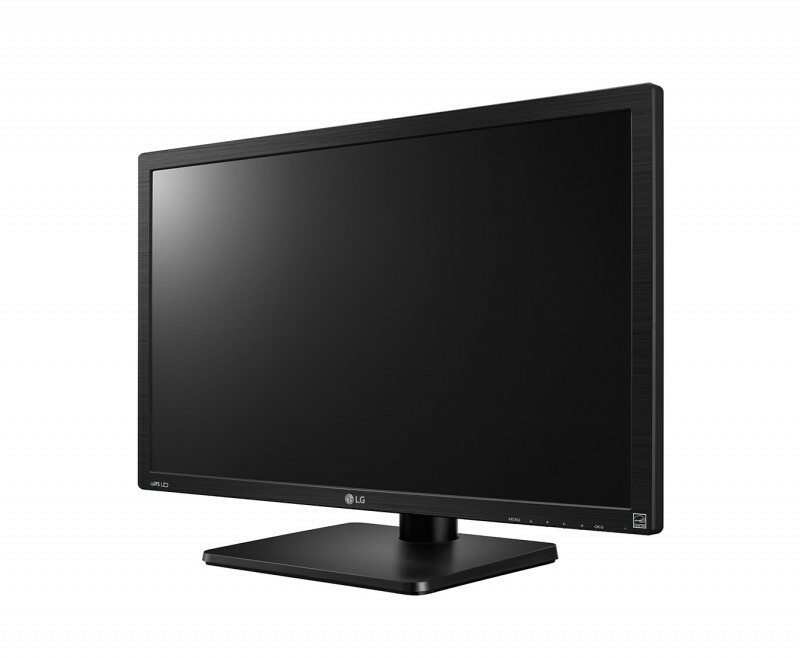 As far as connectivity is concerned, the LG 23MP68VQ monitor features a VGA, DVI-D, and an HDMI port. The MP68 series monitors were one of the first to feature FreeSync over the HDMI port, although only a VGA cable is provided with the purchase. All the ports, including the headphones jack, face upward making for more convenient and easier cable connection. The monitor also features a cable holder plastic for a more tidier deskspace. The price is certainly the most appealing aspect of this monitor. At the time of writing it is available for around $160. 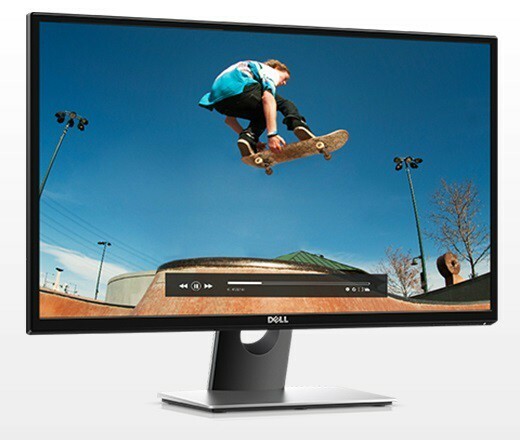 At that price point, there are no other monitors with similar specifications available which also offer the adaptive sync technology and an ultra-thin design. The low cost and thin bezel design make for an excellent budget multi-display setup as well. This monitor is also available in other sizes including 21.5-inch, 23.8-inch, and 27-inch, however, the price/performance is the most cost efficient with a 23-inch version. The LG 23MP68VQ has something to offer to its every potential user on a budget; FreeSync, quick response time, and exclusive gaming features for gamers and accurate colors that cover over 99% sRGB color space and the Screen Split feature for the professional designers, photographers, and alike. To top it all, it features a beautiful borderless design that will appeal to everyone, especially at this price point. 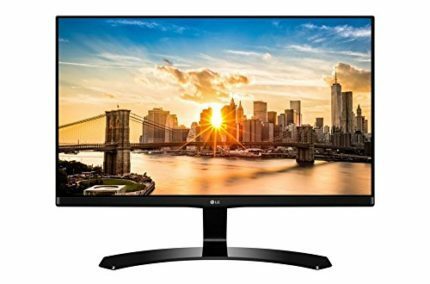 The LG 23MP68VQ offers quite a lot features for its price including FreeSync, On-Screen Control, Split Screen, quick response time, and the IPS panel that covers over 99% of the sRGB color space. The sleek and thin design complements all these features, making this monitor ideal for everyone with a tight budget looking for an awesome monitor.